It's human nature to feel compelled to compare yourself to others, especially when it comes to money. Like it or not, everyone you know is at least a little curious how much cash you have in the bank. But have you ever wondered how your finances stack up next to folks in Canada or the UK? 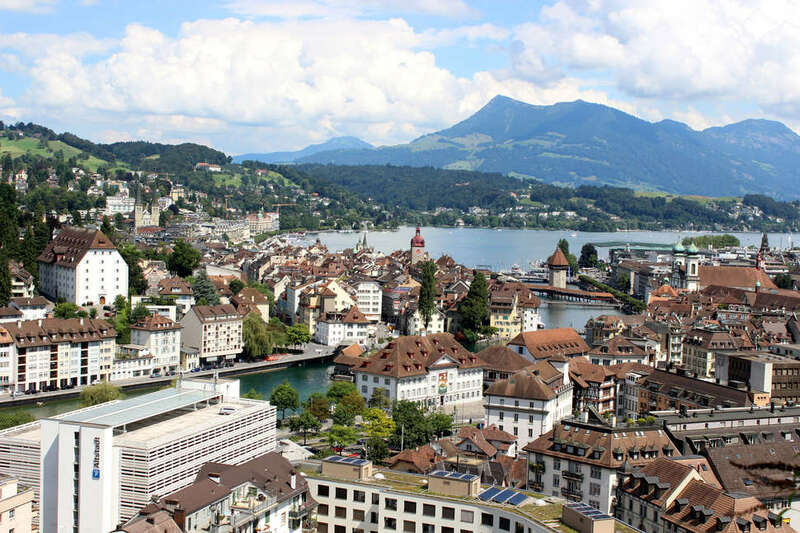 Or whether or not your assets and disposable income are anywhere close to the average Swiss citizen's? Well, guess no more. The folks at personal finance site HowMuch have figured it all out and designed a snazzy new visualization that compares the average household wealth in dozens of countries around the world. The chart was assembled by the research team at HowMuch using a bunch of data collected from the Organization for Economic Co-operation and Development (OECD). Specifically, they considered how large each bubble should be by looking at average household wealth for each country. If you're curious what exactly "household wealth" actually means, it's essentially a measure of one's assets minus liabilities, taking into account things like savings, securities, stocks, and loans (it doesn't take into account real estate, though). Then they shaded each bubble a distinct color based on the average disposable income for each household in that country, or the amount of income left after taxes and charges that people can spend on whatever they want. 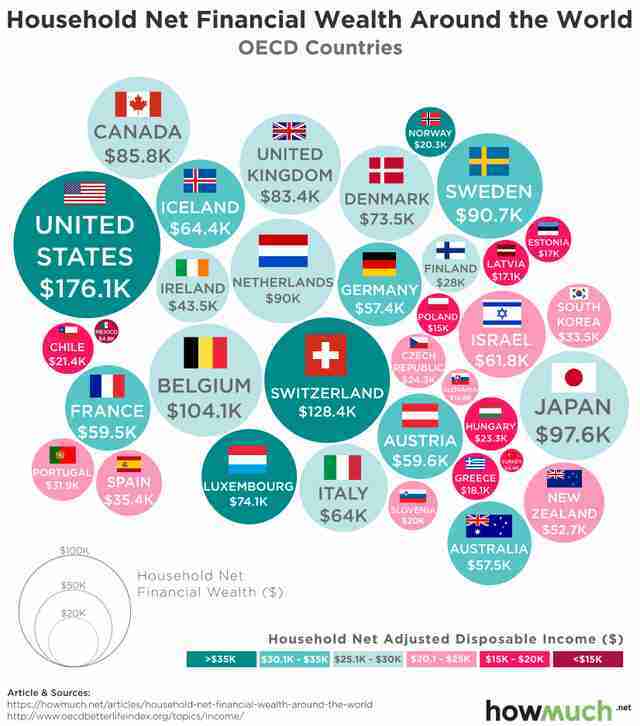 Unsurprisingly, the United States earned the top spot when it came to household income, while Sweden and Japan came in the number two and number three positions. As for which country has the lowest average household wealth, Turkey came in last of the 36 countries that were considered, while Mexico had the second lowest, and Slovakia had the third. Here's how the OECD ranked the top 10 highest, by both average household wealth and disposable income. As the visualization makes clear, a country's high disposable income doesn't necessarily correlate with an exceedingly high household income. That could be for many reasons, though HowMuch speculates that one reasonable explanation is that many European countries have sophisticated social programs that everyone pays into to help ensure everyone has a comfortable retirement, while in the US, it's largely up to the individual to maintain a large savings to afford the same thing. It's also possible that the crazy rich millionaires and billionaires in the US and elsewhere are skewing things a bit, since this is an average after all. In any case, apropos of nothing, anyone have any tips on amassing a six-digit savings account real quick?